The Up’s, Downs, Success and Lessons From Building a Real Estate Empire. Jared Hope is a Canadian ex-NHL player, avid income property investor and Founder/CEO of Tilt Property Group. Jared lives in Edmonton, Alberta and owns over 280 properties with plans on increasing that number exponentially by 2020. Jared founded Tilt Property Group in 2003, with his wife, Krista Hope. Tilt is Edmonton’s most comprehensive property management and real estate investment company that makes it easy for any Canadian to own income property. Jared’s purpose is to teach people to create wealth through income property while avoiding the expensive mistakes he made when he started out on his own. He takes a strict NO-BS stance at his speaking engagements and shares candidly what it takes to win at the game of property investment. 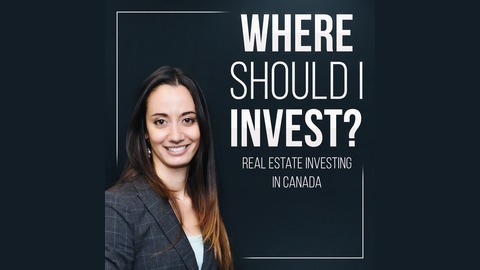 Jared also runs the Mastermind Program, a mentorship and education community of like-minded, action-oriented investors who want to use income property to secure a stable financial future. – Building your REI business in slow motion for less stress and worry. Get a copy of Sarah’s brand new “Market Fundamentals Worksheet” that she mentions in the podcast – click here to grab your copy. 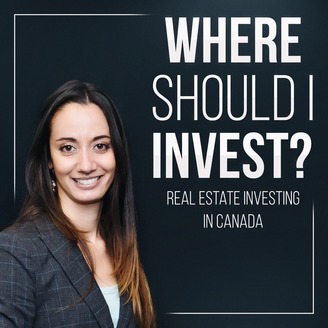 “Where Should I Invest” is brought to you in part through the sponsorship and support of Dalia Barsoum of Streetwise Mortgages. contact her to book a FREE Goals Analysis.